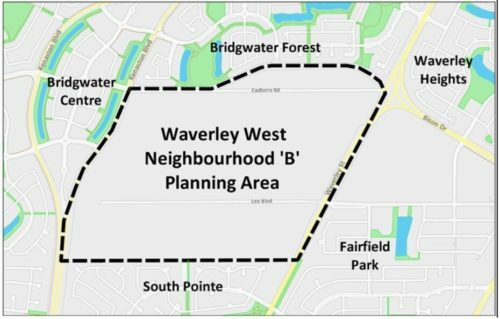 The City of Winnipeg is undertaking a process to develop a Secondary Plan By-law for the area known as Waverley West Neighbourhood ‘B’. A Secondary Plan By-law relates to land use and provides policy direction on how land is to be developed (ie: location of roads, water and sewer pipes, parks, residential and commercial areas, schools and recreation complex sites, etc. ).